If you think that Mother’s Day is popular only in the US, UK and in the other Western countries, you are wrong. In the last decade or so Mother’s Day is becoming increasingly popular in China too. Especially after the 1997, Mother’s Day has gained great significance in China too. This was the year the Chinese government set the Mother’s Day to revere the poor mothers of rural China. 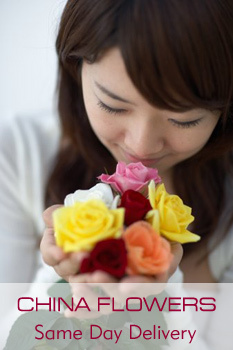 Reports indicate that one of the ways the Chinese people celebrate the Mother’s Day by sending flowers to their mother regardless of where one lives. Sending Mother’s Day flowers is considered one of the most beautiful ways of conveying one’s love for their mother. Today many Chinese people leave their country and live in foreign nations for various reasons such as studies, business, job, marriage, besides other reasons. If you are one such person living outside China and if you are feeling restless about how to send flowers to China this Mother’s Day, you need not have to really worry. Today, it is possible to send flowers to China from any part of the world. There are number of wrong notions about sending flowers to China from the other parts of the world. Many are made to believe that it will take several days for their flowers to reach their loved ones in China. Others think that it is too expensive to send flowers to their country and as a result, they hesitate to order flowers to China even on special days like Mother’s Day. How to send Mother’s Day flowers fast to China and at reasonable prices? You will now be able to easily send flowers to China by ordering your flowers online. You can order your Mother’s day flowers to China from any part of the world from an online store because you will be able to access an online flower delivery store easily regardless of where you are residing. Something that you need to remember here is to find an online flower delivery store that is located in China and an online store that is capable of delivering your flowers on the same day. Are you surprised to hear this? Reputed online florists have nationwide flower delivery network and when you order your Mother’s Day flowers, your reputed florist will deliver your flowers promptly using the local flower delivery networks. This ensures that your flowers are not only delivered right on time but it also ensures that all the flowers delivered are in the freshest condition. 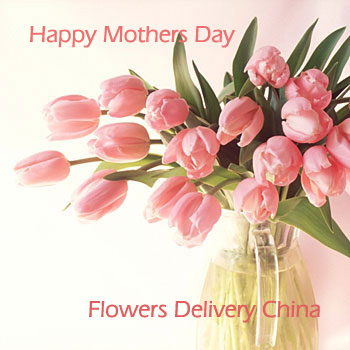 Send flowers to your mother in China and surprise her with your beautiful flowers. Flowers always speak a very powerful language, the language of love. You will be able to convey your special sentiments and your love for your mother easily now by sending her the most exquisite flowers. You can order roses, carnations or lilies online and have them delivered to your mother living in China the very same day. Finding a florist with nationwide flower delivery network will not only be the fastest way of sending Mother’s Day flowers, but it will also help you save a considerable amount of money. Next: How to Make This Father’s Day Special?